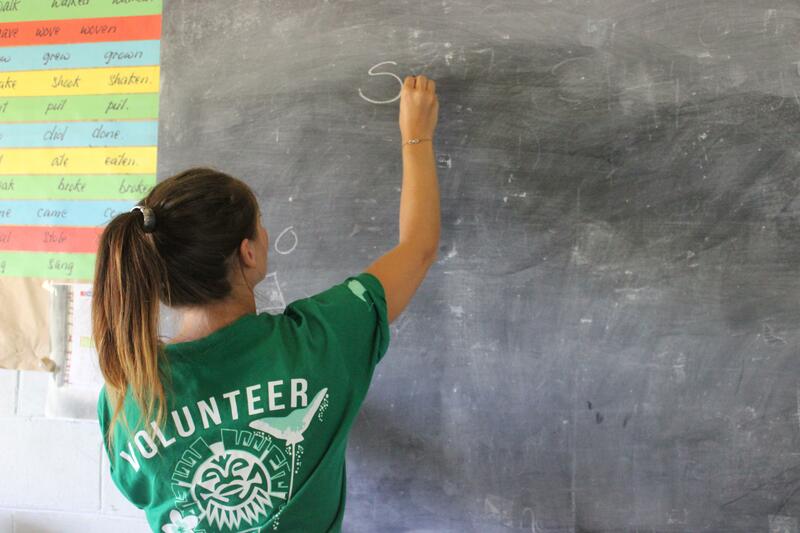 Volunteer as a teacher in Samoa and help to support the educational development of children. You’ll work in primary schools or special needs schools. This is a great opportunity for you to gain practical classroom experience, which will help build your CV. Many schools in Samoa have large classroom sizes. You’ll also act as an extra pair of hands for local teachers, which allows them to spend more time with children who need extra support. You will also work to improve students’ conversational English abilities, as well as their reading skills. 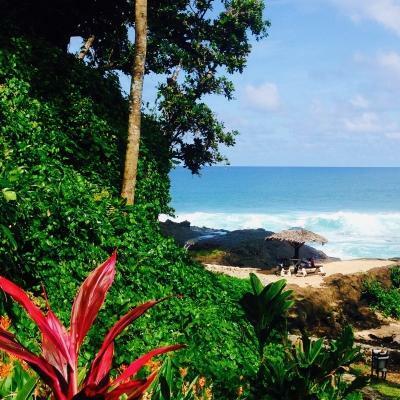 During your time in Samoa, you will live and work in the town of Apia. Living with a host family is a wonderful way to learn about the local culture. There is also plenty to see and explore, from stunning island scenery to cultural and historical sites! 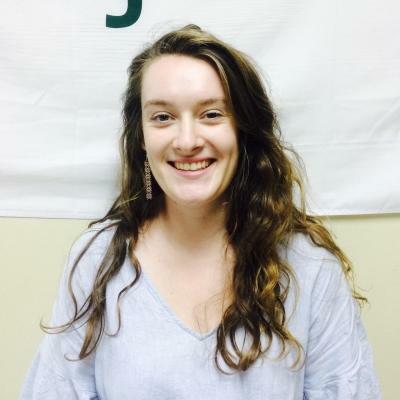 Is volunteer teaching in Samoa right for me? 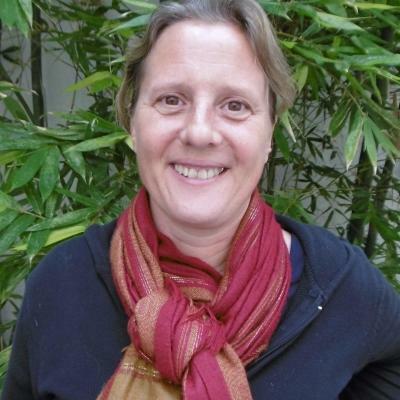 Are you passionate about working with children? Enjoy being proactive and taking the initiative? 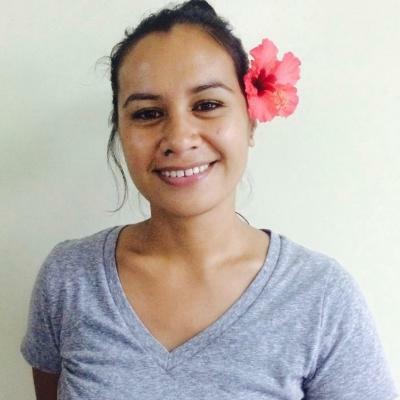 Then volunteering as a teacher in Samoa is a good fit for you. 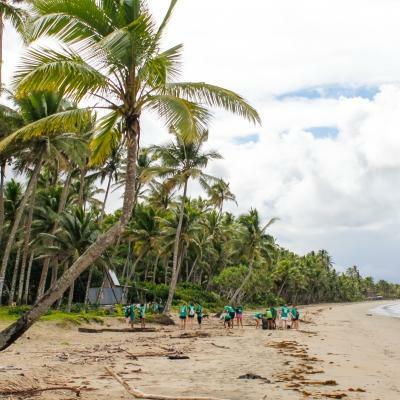 On this placement, you’ll gain practical teaching work experience in Samoa. This is a great boost for your CV if you’re considering a career in this field. You’ll learn from local teaching professionals, and develop your own planning and teamwork skills. Sometimes you will assist the local teacher, and other times you’ll lead the class yourself. You can join us from four weeks onwards. The longer you stay, the greater your impact! Our start and end dates are flexible, and the project runs throughout the year. 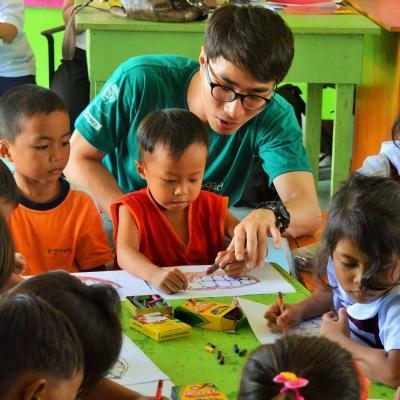 During the holidays, more informal school sessions are organised instead. There is a strong emphasis on English in Samoa, as it is one of the country’s two official languages. All subjects are taught in English from mid-primary school onwards. You’ll help to improve students’ abilities by running reading sessions with small group. 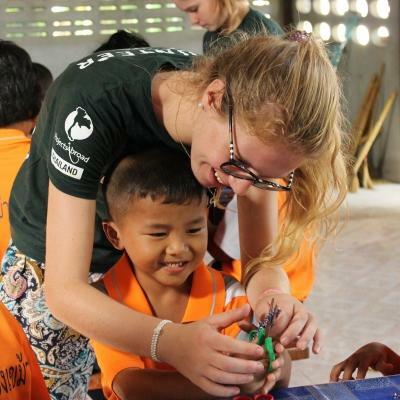 Or you can work on conversational English skills through fun activities, songs and games. 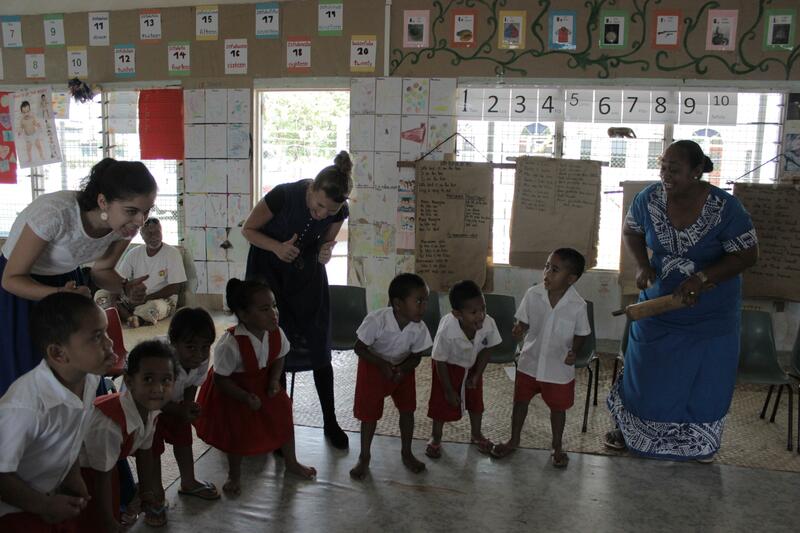 Classroom sizes tend to be quite large in some Samoan schools. You’ll act as an extra pair of hands for the local teachers, giving them the chance to spend more time with students who require more attention. By splitting the classroom into smaller groups, students will receive the guidance that they need. Let us know if you have a special interest in one of these areas when you apply. We’ll do our best to match you with a school where your skills can be utilised. 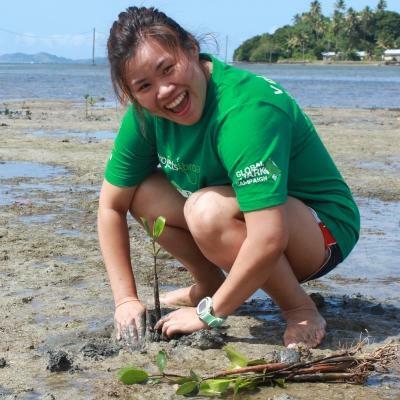 While volunteering as a teacher in Samoa, you’ll be based in the town of Apia. It’s situated on the central north coast of Upolu, Samoa’s second largest island. The town has a laid-back feel, and it is easy to explore on foot. Apia has all the modern amenities you might need, and there are incredible dive spots and beaches just five minutes away. You’ll be working in primary, secondary and special needs schools in and around Apia. These schools often have large class sizes and limited resources. After enjoying a hearty breakfast at the home of your host family, you’ll either catch a bus or walk to work. On your first day, a Projects Abroad staff member will accompany you to show you the way. 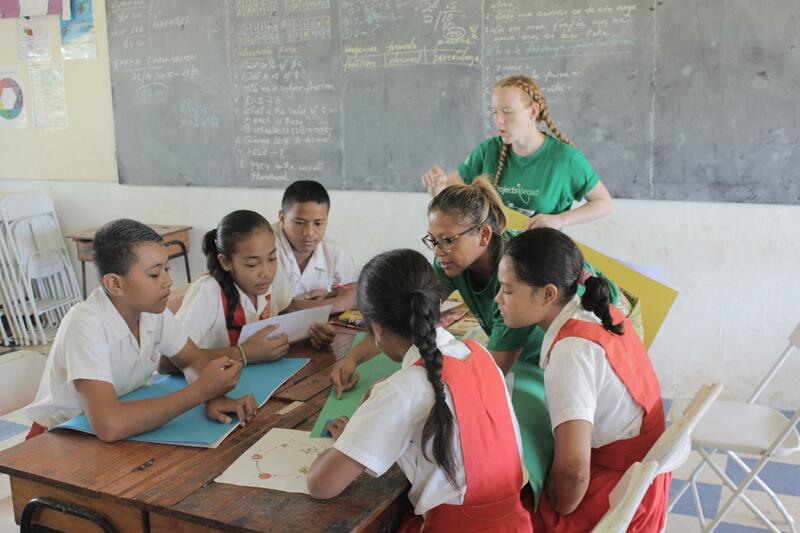 A typical day on the Teaching Project in Samoa begins at 8.30am and ends between 1.30pm and 4pm, depending on the grade. You can choose to work at a local primary school or special-needs school. Your tasks will vary according to which placement you choose. In general, you will spend time either teaching the class yourself or assisting the local teacher. You might find yourself conducting reading sessions, or organising fun games that help to improve children’s conversational English skills. There is also room to get involved teaching other subjects, so you could end up organising sports sessions or art classes. Once you’re done for the day, it’s time to make the most of your time in this beautiful country. Spend time getting to know your host family over a delicious dinner, or visit tourist hotspots with your fellow volunteers. We encourage you to also join us on one of our regular volunteer socials. The main aim of this project is to improve the English abilities of local students, and support the work of local teachers. English is one of Samoa’s two official languages, and it is a major educational goal to ensure Samoan students are bilingual. All lessons are taught in English from midway through primary school. Due to a lack of resources, many schools have large numbers of students in each class. This makes it tricky for teachers to provide students with the individual attention they need to thrive. You’ll focus on improving students’ conversational English and reading abilities. You’ll also assist by devising creative methods for developing their skills and confidence. This in turn will improve the overall level of educational support in the classroom. Join us in Samoa and support the educational development of children in disadvantaged communities.